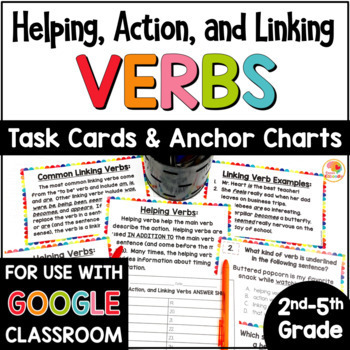 Helping, Action, and Linking Verbs for 2nd-5th grade (since this product goes beyond the core requirements for 2nd grade, please look at the preview to determine appropriateness for your class) includes 5 instructional (informational) pages, 36 task cards (on half sheets) with varying question types, an answer sheet, and an answer key. 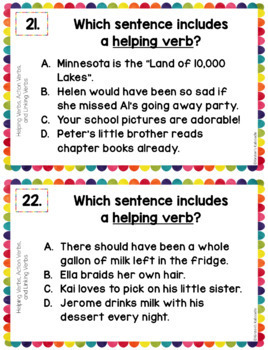 Please note that all questions are multiple choice, which is ideal for games like Scoot. 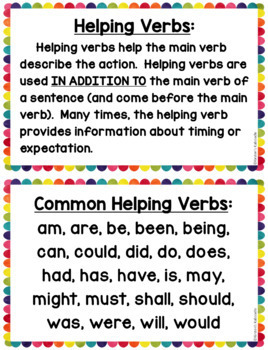 Do you need additional grammar products? 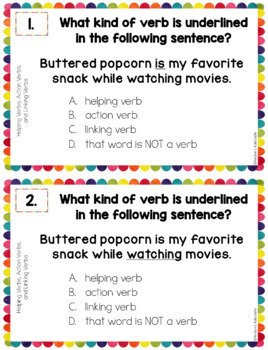 Task card products?